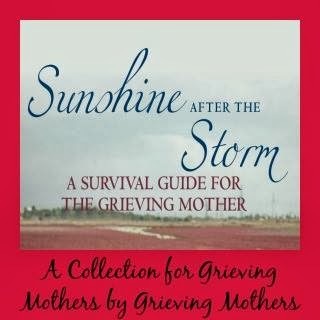 "Sometimes I fear that others will overlook my grief now that I am pregnant again. That the birth of a new child will somehow make people forget about my first daughter. I worry that sometimes, I do this too." This week in my pregnancy after loss post I talk about the difficulty of holding space for a deceased child and an unborn child at the same time, holding space for grief and joy simultaneously. 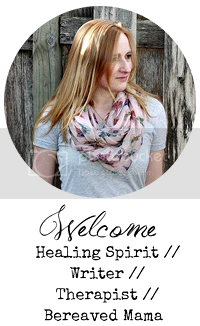 To view this week's Knocked Up Blogger post click here. 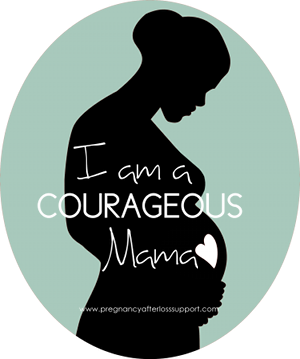 Sometimes I fear that others will overlook my grief now that I am pregnant again. That the birth of a new child will somehow make people forget about my first daughter. I worry that sometimes, I do this too. I admit it’s hard not to get lost in the excitement of expecting again, and at times I do not want to go back and visit the darker moments of my painful past. But my sorrow over the death of my first daughter is always with me, and I want others to know that it’s OKAY to acknowledge my grief over the loss of one of my children while holding onto hope and excitement in planning for another. I bring this up, because as I write this, I am one day shy of the one-year anniversary of my daughter’s stillbirth. A year ago from tomorrow my daughter was brought into this world, perfect at full-term, but lifeless due to a fluke infection. As I reflect back on the events of last year and also look ahead to the plans for the future, I sit in this uncomfortable spot where I struggle to find a space for both my grief and joy. It’s as if I’m parenting two children, one in memory, and one in dreams to be, but not a single one in the physical realm of reality. It’s a tough job, parenting this way, and finding room for my conflicting emotions about both is almost tougher. But somehow, some way, I have been able to find space in my soul for both of these children, and both the feelings of grief and happiness I am experiencing all at once because of them. A wise woman once told me that this phenomenon, this ability to hold space for a dreadful emotion and a joyful one at the same time, is part of the beauty of being human. We CAN and are ABLE to hold space for both grief and joy, pain and pleasure; after all these emotions I’m experiencing were all born out of the same place, they were all born out of the love I hold for my children. So, why wouldn’t I be able to find a place to carry both in my heart simultaneously? My only hope, as I approach the year anniversary of my first daughter’s death, is that others will be able to do the same and will be able to hold a space for acknowledging my grief over the loss of baby No. 1 along with my happiness for baby No. 2. Which means that people will be able to see that a new baby, a new child, a living child does not replace the one that came before, the one that breathes only in my heart, the one that is deceased. It’s just the same as if my first child had lived, the love I hold for my first child is not replaced by my second living one. If anything, love just grows, only in my story love grows alongside of grief, intertwined like the thorns and leaves of a rose, budding with beauty, as the love I embrace for both. This is beautiful. That might seem like the wrong word but it puts into word how I feel I about my late little girl and how I feel about another pregnancy I hope one day to have.